Most Reverend Metropolitans and Bishops! Very Reverend Priests, Religious, Monastics! Dear Brothers and Sisters in Christ! Our Church, our Faithful and our entire Ukrainian People enter into the Great Fast this year with feelings of pain, fear, suffering and trembling hope. We have experienced one of the longest and most terrible winters in the history of our people – a winter in which we profoundly and personally felt the darkness of sin, and we saw evil that garishly expressed itself in our modern history and bore its murderous interior for all to see. Sin, in its ugly, noxious nature, rose up before us. At the same time, this is the winter of our national unity, solidarity, openness to our neighbour, and the continuation of our exodus from the home of slavery. On the ‘Maidan’, we understood the true sense of sacrifice, dedication and mercy. For many this was a time of profound self-realization and conversion to the Lord. The experience of the last 90 days must become for us a signpost for the next 40 days and for the rest of our life. During the Great Fast, we will especially remember, together with our deceased family members, the sacrifice of the martyrs of the “Heavenly Legion” – those that gave their lives for the victory of good over evil and of truth over injustice. We will also remember the selfless dedication of those people who stood there over these last months in the most terrifying and freezing-cold nights on the Maidan united in prayer. With gratitude, we will remember all Christians and people of good will in Ukraine and throughout the world – for their prayer and moral and material support. At the same time, we will always keep in mind that the results of this winter were not the accomplishment of human hands: “if it had not been the LORD who was on our side, when men rose up against us, then they would have swallowed us up alive (Psalm 124: 2-3). We became witnesses and conveyers of the mystery of the actions of God’s grace, witnesses that, “what is impossible for man, is possible for God” (Luke 18:26). This year in particular, the Great Fast challenges Ukrainians to overcome the sins of hatred and distrust. This is especially the case for those who have been entrusted with the helm of the nation. It is difficult for us to trust the new leadership today, because we have experienced authorities that enslave, humiliate and kill. Thus, it will take a great effort to overcome this sin. The first step in this direction must be forgiveness. A good opportunity for this is “Forgiveness Sunday” which opens the way to reconciliation with God and neighbour. Together with this, we must remember that trust toward a restored authority cannot be blind and should usher in an active sharing of responsibility for that which happens on our country. This shared responsibility must emanate from each of us: with responsibility for our own household, our village or city, and for our country – remembering that every citizen must not demand of oneself any less then he/she would demand of others. The insistent reminder about this responsibility will be the sacrifice of those innocent people killed – whose memory no one dare stain by their own selfish purpose or political conduct. Let us not squander this God-given opportunity that opens for us new possibilities, a new way of living, so that, according to the words of the Apostle to the nations, we would be made, “worthy of the Kingdom of God, for which we are suffering” (cf. 2 Thessalonians 1:5). How will we accomplish this? The Great Fast is the way to the Resurrection. Our Saviour, Who, “came that we would have life and have it abundantly” (John 10:10) proposes for us appropriate means, in order that our activity would be life-giving. He calls us to direct ourselves toward the Lord’s Passover, to pass through the pilgrimage from sin to love in order to be forever a “new creation in Christ” (cf. 2 Corinthians 5:17). In spite of the uniqueness of the Lenten period for our people this year, it always is a period of spiritual struggle. For we are not contending against flesh and blood, but against the principalities, against the powers, against the world rulers of this present darkness, against the spiritual hosts of wickedness in the heavenly places” (Ephesians 6:12). 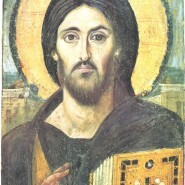 The spiritual combat to which the Church calls us during the Great Fast, has concrete dimensions according to the words of the Prophet Isaiah, “”this is the kind of fasting that I want: to loose the bonds of wickedness, to undo the fetters of the yoke, to let the oppressed go free, and to break every oppression. Share your bread with the hungry, and invite the homeless poor into your house; when you see the naked, to cover him, and do not refuse to help your own people? (58, 6–7). We must fight for truth and righteousness, confirm the God-given dignity of every person, maintain peace in our souls and our country, promote reconciliation and repentance, and aid in the healing of the spiritual and physical wounds by which Ukrainians have been injured. In particular we call everyone to solidarity in tending to the families of those killed and wounded and those that remain traumatized body and soul. Difficult and complicated times may await us. We must be prepared for economic sacrifices, which will demand from our part patience and perseverance. Let us learn to carry our daily Cross steadfastly and without complaint, even when we will find ourselves without that which we consider most indispensable. Let this be our fast – a fast that raises hope for a better future for Ukraine, which, after the winter, will come into its springtime and will yield its fruit. To experience the Great Fast most profitably, we propose to all of our Faithful to continue their prayer and fasting for the Ukrainian people according to the intentions that we give in the supplement. 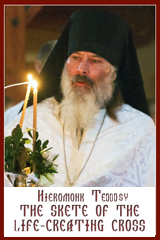 We ask all clergy with pastoral assignments to read this pastoral letter after each Divine Liturgy on Cheesfare Sunday, 2 March of this year. У цьогорічний Великий піст наша Церква, наші вірні та весь український народ входять із відчуттям болю, страху, терпіння і тремтливої надії. Закінчилася одна з найдовших і найстрашніших зим в історії нашого народу, – зима, в якій ми глибоко і особисто відчули пітьму гріха, побачили зло, що яскраво увиразнилося в нашій новітній історії й оголило своє вбивче нутро. Гріх постав перед нами у своїй огиднiй, смертоносній природі. Водночас це зима нашого національного єднання, солідарності, відкритості до ближнього, продовження нашого виходу з дому неволі. На Майдані ми пізнали справжній сенс жертовності, відданості й милосердя. Для багатьох це був час глибокого самоусвідомлення і навернення до Господа. Цей досвід останніх 90 днів має стати для нас дороговказом на наступні сорок днів і на все життя. У час Великого посту ми особливо згадуватимемо поряд із нашими усопшими родичами жертву мучеників Небесної сотні – тих, які віддали своє життя за перемогу добра над злом, правди над несправедливістю. Пам’ятатимемо також самопосвяту тих людей, котрі стояли протягом останніх місяців у найстрашніші та найхолодніші ночі на Майдані в солідарності та молитві. Вдячно згадуватимемо всіх християн та людей доброї волі в Україні і в усьому світі за їхню молитву, моральну і матеріальну підтримку. Водночас завжди матимемо на увазі, що наслідки цієї зими були нерукотворними: «Якби Господь не був з нами, коли на нас повстали були люди, живцем тоді були б нас проковтнули» (Пс. 124, 2–3). Ми стали свідками-носіями таїнства дії Божої благодаті, – свідками того, що «неможливе в людей, можливе є в Бога» (Лк. 18, 26). Великий піст продовжує те, що зародилося на Майдані, і надає йому нового духовного змісту. Осмислюючи чисту жертву Небесної сотні та відданість сотень тисяч людей, кожен із нас повинен по-іншому міряти своє життя: шукати у своїй свідомості і своєму бутті таїнственну велич, відкривати своє життя до іншого – Бога та ближнього, очищуватися від усього, що нас обтяжує і веде до гріха. На цьому шляху навернення і очищення наша Церква молиться словами преподобного Єфрема: «Господи і Владико життя мого! Духа лінивства, недбайливості, властолюб’я і пустомовства віджени від мене. Духа чистоти, покори, терпеливості й любові даруй мені, слузі твоєму. Так, Господи, Царю! Дай мені бачити гріхи мої і не осуджувати брата мого, бо Ти благословенний на віки вічні». Цьогорічний Великий піст в особливий спосіб закликає українців перемогти гріх ненависті і недовіри, передусім до людей, яким доручено державне кермо. Нам сьогодні важко довіряти новому керівництву, бо ми зазнали дій влади, яка поневолює, принижує і вбиває, тому треба буде докласти великих зусиль до подолання цього гріха. Першим кроком на цьому шляху має бути прощення, – доброю нагодою для цього є Неділя всепрощення, – яке відкриває дорогу до примирення з Богом і ближніми. Разом із тим мусимо пам’ятати, що довіра до оновленої влади не може бути сліпою і повинна супроводжуватися активною співвідповідальністю за те, що відбувається в нашій країні. Ця співвідповідальність мусить виходити від кожного з нас: з відповідальності за свій дім, своє село і місто, свою країну – і з усвідомлення того, що кожен громадянин повинен вимагати від себе не менше, ніж від інших. Настійним нагадуванням про цю відповідальність має слугувати жертва невинно убієнних, яку ніхто не сміє заплямувати власною корисливістю чи кон’юнктурною поведінкою. Не втратьмо цієї Богом даної нагоди, яка відкриває нам нові можливості, новий спосіб життя, щоб ми стали, за словами Апостола народів, «гідними Царства Божого, за яке і страждаємо» ( пор. 2 Сол. 1, 5). Як ми це будемо робити? Великий піст – це дорога до Воскресіння. Наш Спаситель, який «прийшов, щоб ми мали життя – щоб достоту мали» (Ів. 10, 10), пропонує нам відповідні засоби, щоб наша діяльність була життєдайною. Він кличе нас прямувати до Пасхи Господньої, пройти паломництво від гріха до любові, щоб назавжди бути «новим творінням у Христі» (пор. 2 Кор. 5, 17). Попри особливість для нашого народу цьогорічного великопісного періоду, він завжди є часом духовної боротьби. «Нам бо треба боротися не проти тіла й крови, а проти начал, проти властей, проти правителів цього світу темряви, проти духів злоби в піднебесних просторах» (Еф. 6, 12). Духовна боротьба, до якої Церква закликає в час Великого посту, має конкретний вимір, згідно зі словами пророка Ісаї: «Ось піст, який я люблю: кайдани несправедливости розбити, пута кормиги розв’язати, пригноблених на волю відпустити, кожне ярмо зламати, з голодним своїм хлібом поділитись, увести до хати бідних, безпритульних, побачивши голого, вдягнути його, від брата твого не ховатись» (58, 6–7). Ми повинні боротися за правду і справедливість, утверджувати Богом дану гідність кожної людини, зберігати мир у наших душах та країні, сприяти примиренню і покаянню, допомагати зцілювати душевні й фізичні рани, яких зазнали українці. Особливо закликаємо усіх до солідарності і підтримки родин загиблих, постраждалих, поранених, травмованих душею і тілом. Нас можуть очікувати складні часи. Треба бути готовими до економічної жертви, яка вимагатиме з нашого боку терпеливості й наполегливості. Учімося витривало і без нарікання нести свій щоденний хрест, навіть тоді, коли забракне найнеобхіднішого. Нехай це буде нашим постом, – постом, який дає надію на краще майбутнє України, яка після зими ввійде у свою весну і дасть свій плід. Аби плідно пережити час Великого посту, пропонуємо всім нашим вірним продовжувати молитву і піст за український народ в наміреннях, які подаємо в додатку. Закликаємо всіх до відданості у праці й молитві, у пості та милостині. «Сам же Бог миру нехай освятить вас цілковито, і нехай уся ваша істота – дух, душа і тіло – буде збережена без плями на прихід Господа нашого Ісуса Христа» (1 Сол. 5, 23). Отцям-душпастирям доручаємо зачитати вірним це Пастирське послання після кожної Божественної Літургії у Сиропусну неділю, 2 березня цього року.